Front Range Rescue Dogs was founded in 1984 and has been helping locate lost individuals and other items ever since. Each Field Member of FRRD has gone through extensive training and testing to ensure they are ready to be an asset to any mission to which FRRD responds. First and foremost, our human members are Search and Rescue Professionals. We must know how to navigate in widely varying terrains, during the day or at night, in any weather (most likely dark and often raining or snowing). We need to be able to strategize to make sure our resources are used in the most effective way possible. We are out there searching for clues and information which will help locate the individual who is at risk. Our qualified dogs are one of the most important tools we use to help us, but they are just one of the tools. In order for both members and teams to be qualified to field, a lot of hours of training are donated and years of insight and knowledge are shared by all of our members. There is no single book or website to which an individual can go to and learn the vast amount of information that has been gathered and learned by our team over the years. No one in FRRD does this work for the praise or glory, we are here because we truly want to help those in need. We all realize that every step forward we or our dogs take in this process is due to the support of our teammates, that every find our dog makes is because of the foundation and guidance we have been given by those with whom we work. FRRD is first and foremost a team, and that team is made up of individuals with widely varied backgrounds. What we all share is our love of helping others, our love and respect for Colorado’s diverse terrain and climates and our love of dogs. Handler: Ryan has been with FRRD since 2001. Ryan is a middle school social studies and language arts teacher for Boulder Valley School District. In his spare time, Ryan enjoys gardening, bee-keeping and working on restoring a 1959 Austin Healey "Bug-eye" Sprite. Ryan resides with his wife, Ann, 2 boys, and their 3 dogs, 2 cats, and 4 chickens. Scout is Ryan’s second dog to be qualified with FRRD. Canine: Scout is a mixed breed dog, possibly with some Dutch Shepherd. As a puppy found on the Navajo reservation, Scout was turned in to the local shelter, which recognized his high drive and willingness to bond and referred him to Best Friends' Animal Sanctuary's "Canines With Careers" program in Kanab, Utah. Having looked at over 700 dogs from local shelters and at Best Friends', as well as all the surrounding shelters, Ryan decided to take a chance with Scout. The bet paid off: Scout turned out to be a quick study. Ryan and Scout are also looking toward qualifying in Water. Handler: Roger joined FRRD in 2017 after having been involved with both wilderness and urban search and rescue since 2001. He currently works as a family physician in Conifer, Colorado. In addition to being a FRRD canine handler, he is a member of Park County Search and Rescue, and Colorado Task Force One - U.S.A.R. He has been deployed to numerous wilderness SAR missions throughout the region as well as several national disasters including Hurricane Katrina, Ike, Gustov, Irma, and the Boulder/Lyons Flood in 2013. Roger is currently fielding his 3rd qualified search dog, Finn, and training a pup, Brodie. When not participating in SAR activities Roger enjoys teaching wilderness medicine, mountain biking, rally racing, backpacking, skiing or snowboarding, and spending time on horseback. Canine: Finnegan ("Finn") is a sable colored English Shepherd from Longmont who was initially supposed to end up in North Dakota herding cattle. When that transition fell through, he was adopted by Roger and quickly excelled at his new job as a Search and Rescue Dog. He has been fielding on wilderness missions with Park County SAR since 2015 and requalified for airscent fieldwork with FRRD in 2017. Finn loves spending time with his human and canine SAR teammates, and riding on anything that has wheels or otherwise moves although UTV's and snowmobiles are his top choices. Handler: Jenny has been involved in search and rescue in Boulder County since 1989. Jenny grew up in Boulder and knows the county very well. She is an officer with the City of Boulder Police Department. Through her involvement in the Rocky Mountain Rescue Group, Jenny was recruited to be a training and test search victim for FRRD. The experience gained as a mock search subject, then Field Support Member, led her to her first search dog, Tika. Cainine: Ihu (Hawai’ian for “nose”) is yet another of the historically useful chocolate pocket labs. She has boundless energy, a very strong search drive and an insatiable willingness to chase tennis balls. Handler: Terrie became a Field Support Member for FRRD in 2003. She is a former Geophysical Engineer with a degree from Colorado School of Mines and the mother of two grown children. Terrie grew up in Boulder County and enjoys getting out in the mountains or on the plains. Tia is Terrie’s second dog to be qualified with FRRD. Canine: Brandywine’s Tia Maria is a tri-colored English Shepherd. Her mother, Pip, was a very successful search and rescue dog with Allegheny Mountain Rescue Group. Tia's backcountry agility is amazing, she is as surefooted and fearless as a mountain goat, without being reckless. Tia is currently training in Evidence and will continue to train in Trailing. Handler: John joined FRRD in 2006 after watching his wife, Terrie, be a part of search and rescue for several years. John has a degree in Geophysical Engineering from Colorado School of Mines. After retiring as CIO and a VP of a large financial transactions company, he started his own computer and financial security consulting company. John is also a founding member of the Longmont Civilian Volunteer Patrol, part of the Longmont, CO Police Department. Canine: Brandywine’s Rocky Mountain Echo (Echo) is a seal and white English Shepherd. Echo loves to play with his Aunt Tia, Terrie’s dog, but he takes his job of searching very seriously. His unbounded energy and enthusiasm help get him through long days of searching. John and Echo are working on qualifying in Avalanche. Jeff has been involved in search and rescue since roughly 1988. He was a handler with both Kiyla and Hiydn. Jeff is also a long time member of Rocky Mountain Rescue Group. Outside of Boulder County, Jeff has served many years as a Director for the Colorado Search and Rescue Board and as Region Chair for the Rocky Mountain Region of the Mountain Rescue Association. With these nonprofits Jeff has had the good fortune to be able to balance work in the boardroom and time in the mountains on search and rescue operations, leading trainings at local, regional and national conferences, and evaluating search dog and mountain rescue teams throughout the west. Jeff now juggles a small son and running a solo law practice. Kristen joined FRRD in 2016. 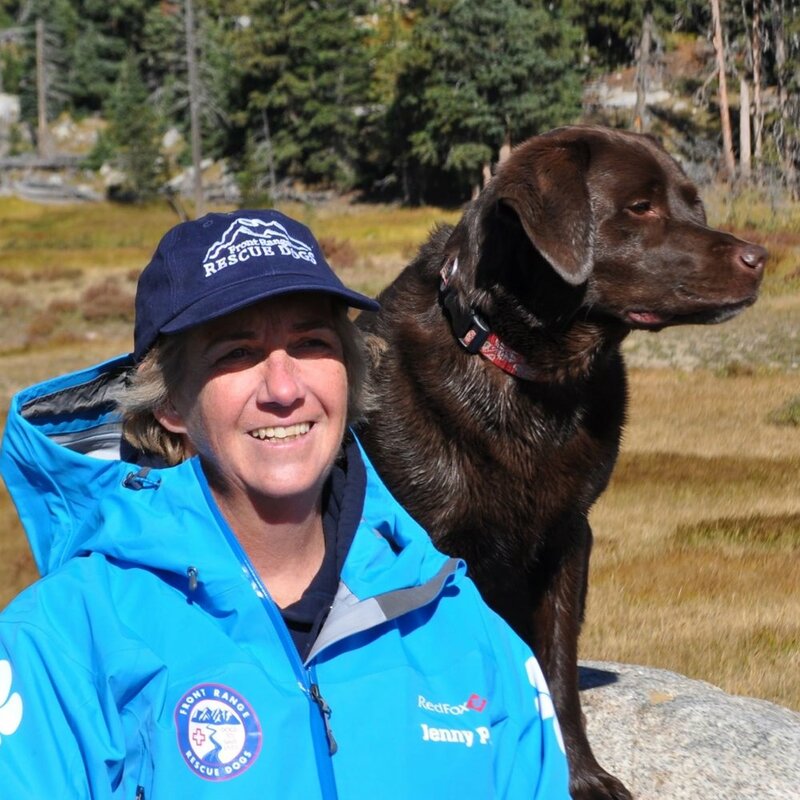 In addition to FRRD she is also a member of Rocky Mountain Rescue. Kristen works as a freelance broadcast engineer on large international sporting events and is working towards starting her own dog training business. She also spends time in the Grand Canyon as a backpacking guide and as an adaptive snowboarding instructor at Eldora Mountain. Kristen volunteered with a local German Shepherd Rescue having fostered a number of GSDs looking for a forever home. Which is, incidentally, how she came to adopt her German Shepherd, Eiko, when he was a puppy. April began her career in search and rescue in late 2001 when she joined FRRD. 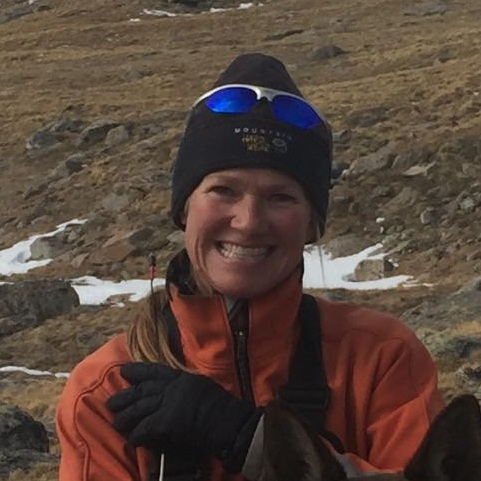 She is currently a member of two separate Search and Rescue teams based in Colorado, Front Range Recue Dogs and Colorado Task Force One (COTF1). The FRRD team focuses on Wilderness Search and Rescue and COTF1 focuses on Urban Search and Rescue. April worked for West Metro Fire Protection, the sponsoring agency for COTF1, for many years. With this group she has been deployed to hurricanes “Katrina”, “Rita”, “Gustaf”, and “Ike” as well as the Lower North Fork Forest Fire, and the Front Range Floods in Colorado. April was a handler with Ankh. Debi joined FRRD in 2017. She is employed by Ball Aerospace in Information Technology. Debi has been an avid outdoors woman since high school, backpacking, canoeing the Boundary Waters, cross-country skiing, bicycle touring in Canada, she has her private pilot’s license, has sailed the Great Lakes, and was a crew member on a sailboat from Chesapeake Bay to Tortola, BVI. Debi is just beginning to train Matty, an English Shepherd. Jeff joined FRRD in 2006. He is a lawyer in the Boulder/Longmont area as well as being involved in the non-profit Attention Homes. Jeff attempted the very difficult task of training a deaf dog. Dapple, his rescued Catahoula Leopard Hound, was a very bright, motivated dog. She and Jeff worked together and were very successful at training in Obedience and Trailing. Dapple was smart enough to realize that if she didn’t want to get a visual command from Jeff, she should just not look at him. Sadly, Dapple died suddenly in the summer of 2014. Ki is a very sweet and motivated German Shepherd. She is quick to learn, adores April and is always ready for something new. Buck is a black and white Border Collie pup. Buck is an eager, high energy dog who will make a great teammate for Ryan. Eiko is a handsome, red and black German Shepherd Dog. His favorite things are: his mom, playing tug, and running around in the woods. Matty is a black and white English Shepherd pup. She is Debi’s first search dog. Ivy is a bright and energetic Catahoula Leopard puppy. Jeff plans to train Ivy in trailing. Brodie is a sable colored English Shepherd, a younger brother to Roger’s currently qualified dog, Finn. Brodie is high spirited and always on the lookout for an adventure. FRRD has a long history of great search dogs. These dog teams paved the way and helped build the foundation of what FRRD is today. This list is only of those dogs that served with current Field Members. Kiyla was bred by Jeff’s mom in Connecticut. Kiyla’s brother Argos and sisters Tika and Chapin qualified as FRRD search dogs. Kiyla was a constant and completely reliable companion. She needed almost no training, figuring out obedience and search skills with little direction. They had difficulty passing tests because they kept finding the subjects too quickly thus nulling the tests. Kiyla qualified in Wilderness Air Scent before she was 2, and Water and Avalanche before she was 3. With more successful finds than Jeff can remember she fielded on well over a hundred searches in many wonderful areas of Colorado. Kiyla was also a pretty good mountaineer and rock climber having summited hundreds of peaks and easy routes. They were members of the Flight For Life, Avalanche Deployment Team for years and Kiyla was very comfortable in helicopters and boats, on snowmobiles, ATVs, and chairlifts. She helped Jeff teach at many SAR academies and trainings. Kiyla was a great canine team player in that she was very adept at showing other search dogs how the game is played and was often used to help the newer pups when they got stuck with a concept. Kiyla was a once in a lifetime partner. Ankh is a German Shepherd who loved searching. Ankh and April attended many trainings around the country learning various skills. In addition to their work in Wilderness Air Scent, April and Ankh trained extensively in Water and Human Remains. Buster was a pointing lab that was a little too rambunctious for a quiet life in the suburbs. After several barking citations, chewed-up table legs and dug-up carpets, his previous caretakers donated Buster to Ryan and Front Range Rescue Dogs in hopes of finding a positive channel for his energy. Wilderness search and rescue is a demanding trade, requiring the strength to charge through thickets and willow bogs, the endurance to cover hundreds of off-trail acres, and the discipline to work off-leash amongst all the wildlife distractions; it was just the ticket for Buster. 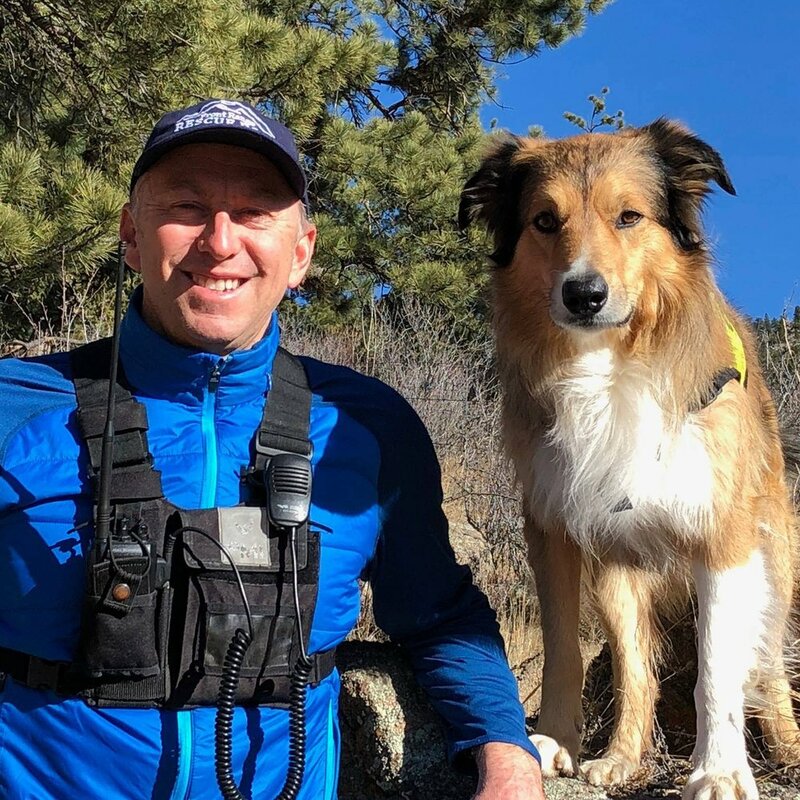 Buster was able to locate two separate drowning victims, and picked-up a trail for a person missing for three days in Rocky Mountain National Park, establishing a direction of travel that guided a helicopter toward finding the lost person. Sadly, Buster's career was cut short due to blindness, brought on by progressive retinal atrophy, and epilepsy. 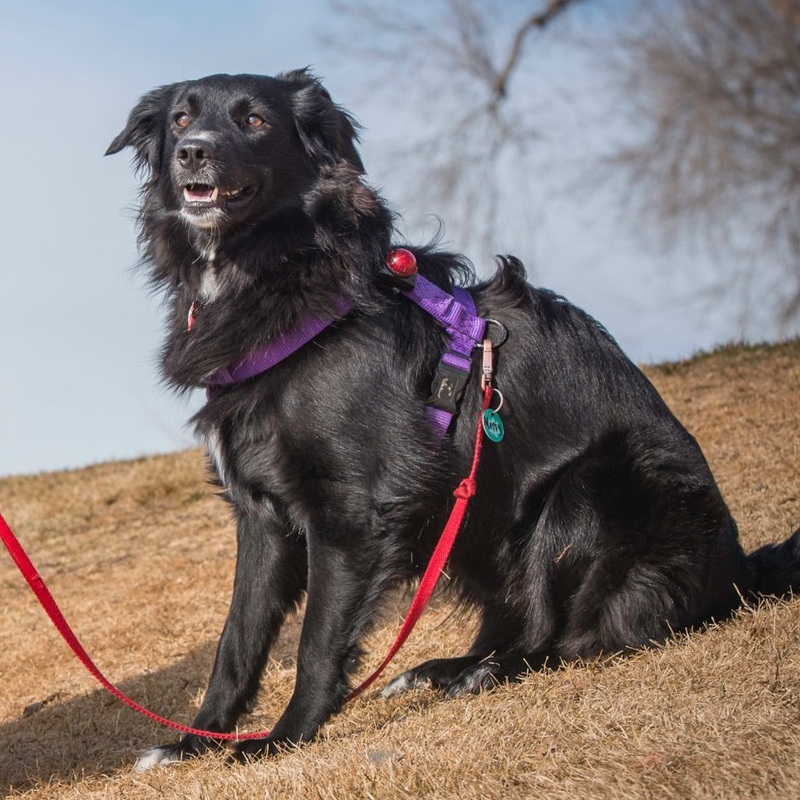 Rascal, a Border Collie mix, was adopted from the Longmont Humane Society at 1½ years old. She picked up search work really quickly and had a natural talent for it. Before qualifying with John in Wilderness Air Scent, Rascal qualified with John’s wife Terrie as Wilderness Air Scent Team for FRRD in August, 2006. They also Qualified in Evidence. Rascal was the first dog in FRRD to be Qualified with two people. She also trained in Human Remains and Water. Rascal was a part of many interesting searches – her first search was for a missing ranger in Rocky Mountain National Park. She had been flown into searches in helicopters. She helped search for human remains and airplane parts in two different plane crashes. In one crash, among other things, she located the “black box” that the NTSB needed to help with their investigation. The “black box” is something the about the size of an SD card, and the plane wreckage was spread over 2/3 of a mile by 1/3 of a mile. Along with numerous wilderness searches, Rascal helped in water searches, fire investigations, and urban missions. Ballotin, as in a box of chocolates, is another chocolate “pocket lab” related in some way to most of the chocolate labs that have been a part of FRRD. She was eager and enthusiastic when it came to her search work. Bally was qualified in Wilderness Air Scent, Urban and Cadaver. Tika, middle sister of FRRD qualified dogs Kiyla, Argos, and Chapin, first Qualified in Wilderness Air Scent in 1996 and later in Avalanche. Jenny and Tika were members of the Flight For Life, Avalanche Deployment Team for years. Tika was a steady search companion and patient teacher of handlers and pups alike. Tika and Jenny were often assigned the “hard” areas to search because of their ability to meticulously read the winds over difficult terrain and cover the area thoroughly.